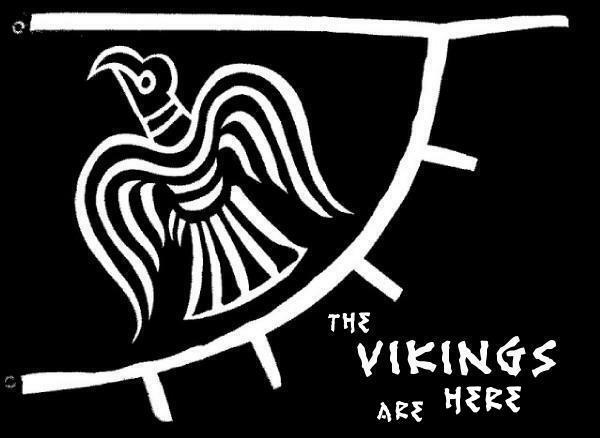 Thanks to the effort of an unknown poet (Old Norse: skald), the history of Norway could have been very different. In 915 AD, King Harald Fairhair was ready to go to war against his own son, Halfdan the Black, where the king and two of his sons could have been killed. This event could have changed the whole history of Norway. Fortunately, the skald Guthorm Sindre came to their rescue. 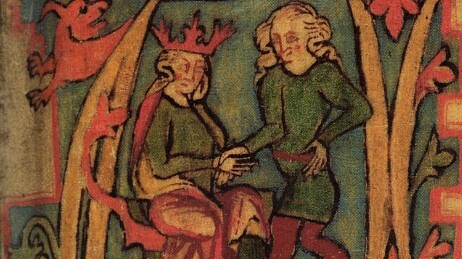 In 872, Harald Fairhair unified Norway into one kingdom. He had many sons, and many of them were half-brothers. The country was divided into geographical areas where his sons were put in charge. In the middle of Norway (Trøndelag), Halfdan the Black was in charge, while in Western Norway his half-brother Erik Bloodaxe ruled. In the Snorri Sturlason saga, Erik Bloodaxe is described as a brutal leader and was therefore nicknamed ‘Bloodaxe’. The relationship between the two brothers was very poor. In 915, Halfdan the Black burned down his brother’s farm. The goal was to kill Erik, but he was saved because he slept in the outhouse. In furious anger, Erik went down to his father Harald Fairhair who most likely lived in Karmøy in Rogaland. Together they traveled to Trøndelag in order to kill Halfdan the Black. When they arrived in Trøndelag, only a few miles separated the two armies. 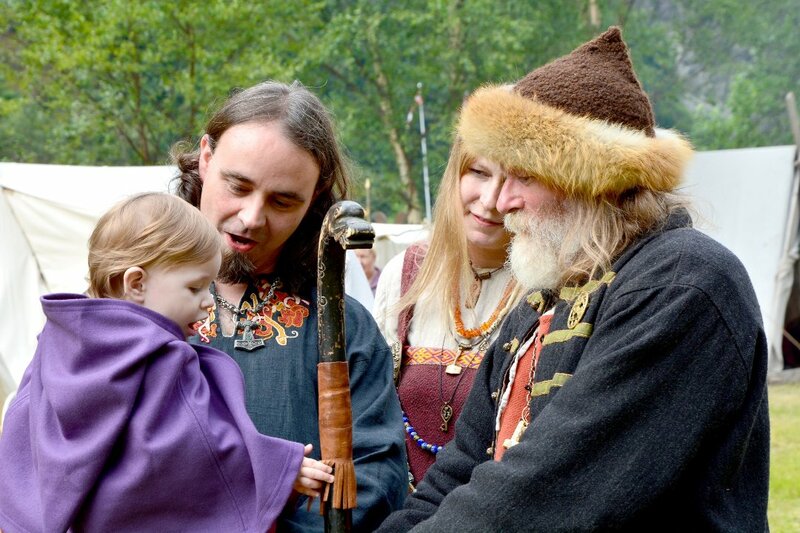 It could have turned into a bloodbath in which some of Norway’s most famous men could have been killed, but instead the unknown skald Guthorm Sindre came to their rescue. Guthorm Sindre had worked for both Hairfair and Halfdan the Black and had written beautiful poems in their favor. He had never accepted any payment for his poetry, but would rather have a wish fulfilled if he asked for it. Guthorm Sindre thought it was too bad that father and son would go to war against each other, so he began to mediate. He rode back and forth over the hills in effort to achieve peace between the two armies – and it went well. Guthorm Sindre managed to bring peace between Harald Fairhair, Erik Bloodaxe and Halfdan the Black. 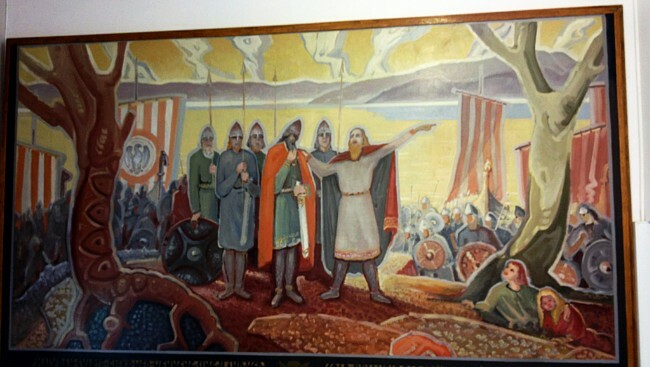 ‘King Harald lay with his men at Reinsletta. Now people went between them, and among others a clever man called Guthorm Sindre, who was then in Halfdan the Black’s army, but had been formerly in the service of King Harald, and was a great friend of both’. It is nearly 1100 years since the battle could have taken place and changed history. Guthorm Sindre is therefore considered the first Norwegian peace negotiator.